Hmmn, can one item actually push you to write a blog? This bacon sure as hell helped. 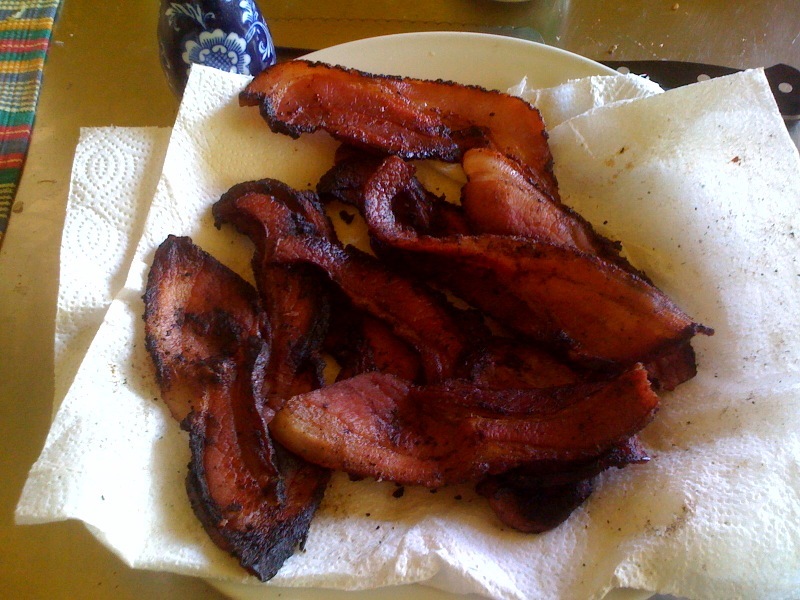 This weekend I bought some thick cut smokey bacon from Whole Foods, it was so thick it reminded me of thinly sliced steaks – of BACON. 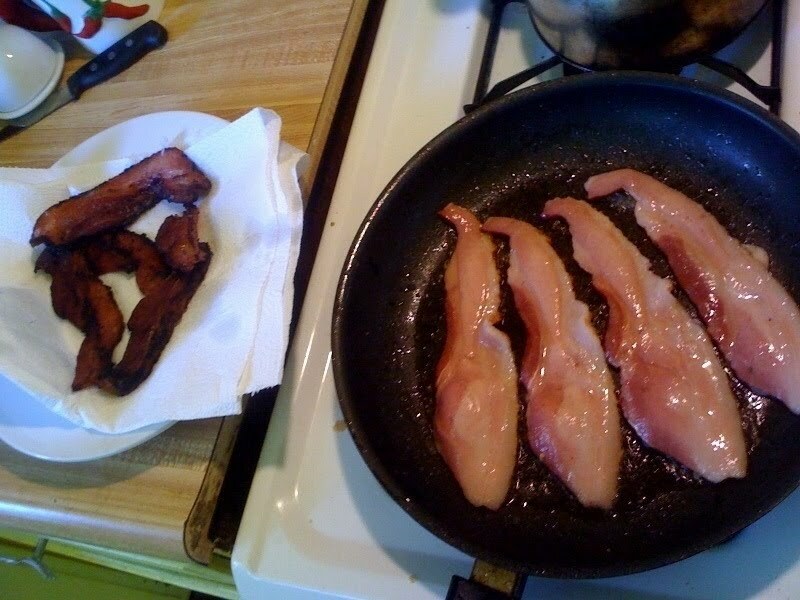 After taking the pictures of the bacon cooking, I decided I would have to now share this with anyone who is listening. The bacon was mostly meaty and would be incredible on a BLAT (Bacon, Lettuce, Avocado and Tomato) Sandwich. Thick cut bacon is always great for salads, I was using this bacon for my Roasted Garlic Potato Salad with Bacon and Carmalized Onions. I’ll update this with the Potato Salad recipe later. Crispy Bacon, so thick – like little bacon steaks. Hmmn, don’t get me started. 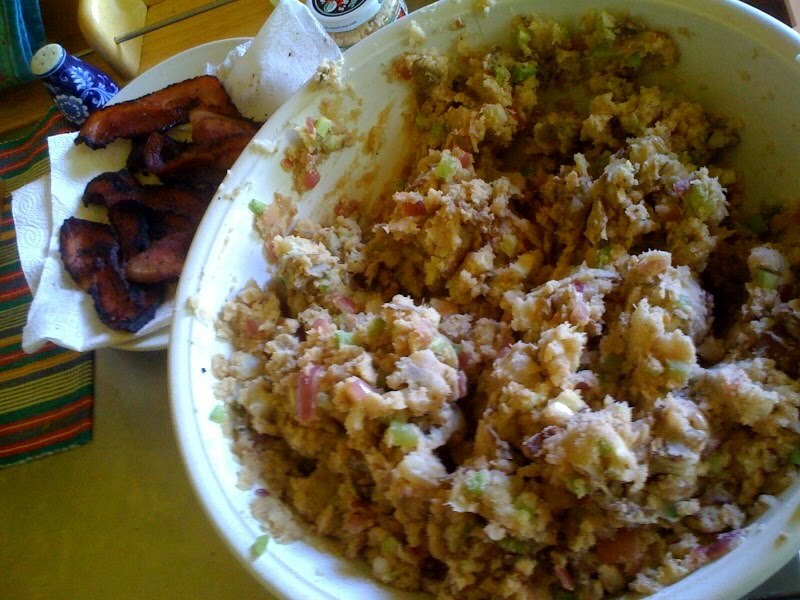 Adding bacon to my favorite Potato Salad.